For my very first interview, I had the privilege to invite Sujan Patel as my guest. 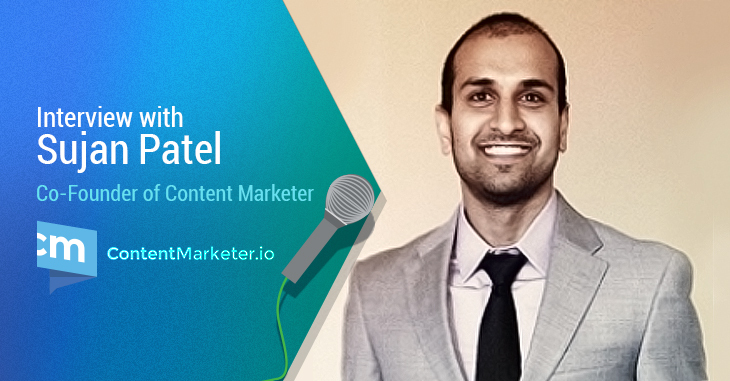 Sujan Patel is not a stranger to anyone in the Internet Marketing world. With over 12 years of experience, he’s become one of the most influential marketers in the industry. He started the digital marketing agency, Single Grain, and is now the VP of marketing at “When I Work”. He’s intelligent, knowledgeable, and a great entrepreneur. You can find Sujan sharing his strategies all around the web, including Forbes, Entrepreneur.com, Search Engine Journal, and more! Today, I get to pick at this amazing entrepreneurs mind and have him share his experience with us on SEO, content marketing, social media, and more! Q. You entered the SEO industry in 2003, what do you like most about it? A. I liked the fact that It was an emerging industry and that it was constantly evolving. Which means I’d never get bored because I’d constantly be on my toes and doing different things. Q. The SEO world has changed a lot since you started. What are some of the most interesting changes you’ve seen? So, do you have any good stories to share about how SEO tactics have changed? A. The Florida update back in 2003 was pretty fun. The old school tactics of keyword stuffing got wiped up. I started in the space 6 months before the update hit, so it was pretty scary for Google to nullify everything I just learned and started to master. The next big update for me was the Google suggest in 2008. This opened my eyes to long tail keywords and was where I truly started content marketing. Back then, it was called long tail SEO strategy, blogging, or content creation. 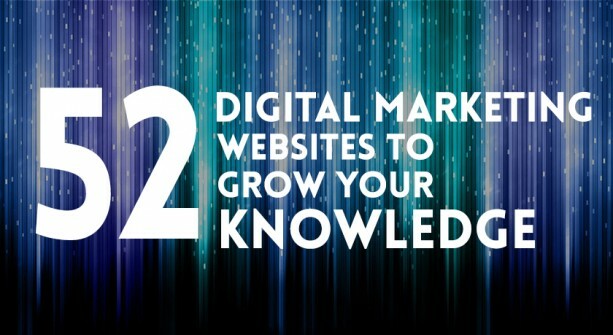 Q. You’ve consulted and helped many big companies on their digital marketing strategies. What were some of the biggest challenges you encountered? A. Speed is always the biggest challenge. Big or small, most companies don’t move fast enough to capitalize on their full marketing potential. The second biggest problem is that companies think just because they hire a marketing person or agency they’re set. Which is the wrong mentality. That is just the beginning and the minimum requirement. Q. You’re currently the VP of Marketing for When I Work, a scheduling and communication solutions for employees. Before this, you were the CEO of Single Grain. They are two very different companies. How would you describe the differences between the two work environments? A. Both are high energy and fun environments, as that’s the kind person I am and my teams generally reflect my personality. At Single Grain, we were setup to spread our efforts across many clients, so we had a few of each role. We had a few SEOs, content marketers, and PPC analysts. We also had account managers and sales people, who were non marketing staff, but equally important as they brought in revenue and made sure clients were happy. At When I Work, we only have 1 of each role, but much senior. The growth team consist of a Content Marketing Manager, Community Manager, Designer, Full stack Developer, Email Marketer and a few entry level marketers. Q. What prompted you to create ContentMarketer.io? What benefits does it give to content marketers? A. I’ve been sending cold emails and hunting down email addresses for years . Lately, I’ve been sending cold emails to promote my blog posts and after sending 6000 emails, I perfected a process that could be repeated by others. That’s why I created Content Marketer. Originally, I created the tool for myself to automate what I was doing manually. Q. You do a lot of blogging for sites like Forbes, Entrepreneur, and SEJ. What are your strategies for creating powerful blogs? What is one of the biggest mistakes people make when trying to pitch big blogs/sites? A. I do research and do my homework to find out what’s a good topic to write about, how I’m going to promote it, keywords it can rank for (keyword research), who my audience is, expected ROI, etc. before I write a single word. I hate pitches and mostly ignore them, but every once in a while I get a good one. A good pitch is short and to the point with a bit of personality. A touch of humor helps as well. Usually 2 sentences and a link is enough. Q. Social media continues to be a powerful strategy for businesses. What do you think of the recent launch of apps like MeerKat and Periscope? How can agencies or businesses leverage these tools? A. Honestly, I have no clue about how to leverage either. Both look like companies that won’t get past the early adopter crowd (startups and tech people). Q. As a great entrepreneur, what’s the most challenging part of starting a business? What are some of the qualities found in a successful entrepreneur? A. Endurance, patience, and the ability to keep your emotions in check are 3 of the most important qualities to me. The most challenging part of starting a business is taking action or enough of it. Most people plan a lot or talk more than they actually “do”. My take on entrepreneurship is STFU and start doing until there is something to talk about. Q. What advice can you give to new marketers like myself? How can we be more influential? A. Read, practice, and participate in the community. Everything on blogs you should be testing or trying to repeat to see if you can get the same success as what you read. Comment on blogs, join communities like Inbound.org, join slack groups, and get involved. Everyone in marketing is super helpful you just have to get to know us. Q. If you could be CEO of any company, which would you choose and why? A. Movoto.com. They’re in crowded real estate space. They’re the under dog competing with giants, like Zillow and Trulia. Plus, they built a blog with 2 million visitors a month using Buzz Feed style content and actually got an ROI from it. Seems really interesting from an outside perspective. Alright, that’s a wrap for this interview. Sujan has been a great teacher for me in the marketing community and it was awesome getting to know him more! Thanks for sharing all your experience and insights with us, Sujan! Lastly, don’t forget to follow him on Twitter @sujanpatel! His twitter is filled with great articles and resources with a pinch of humour. If you want to read more Internet marketing expert industry interviews from TechWyse, please visit Expert Interviews.